A real-time account of the events on United Flight 93, one of the planes hijacked on September eleventh, 2001, that crashed near Shanksville, Pennsylvania when passengers foiled the terrorist plot. $11.478 million on 1795 screens. 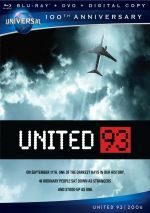 Less than five years after the terrible events of 9/11/01, spring 2006’s United 93 offered the first theatrical movie related to that topic. 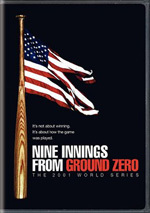 The film follows the events of 9/11 with a particular emphasis on the titular United Flight 93. Meant to go from Newark to San Francisco, terrorists hijack the plane and intend to crash it into a prominent target. However, passengers rise up to oppose the plot. The movie depicts a version of what may have happened on board the jet as well as events on the ground related to air traffic control and the military. When United 93 had its premiere, I read a comment from a moviegoer who griped about the timing of the flick’s release. As seen in a Washington Post article: "’Well, it took 60 years before there was that movie by Michael Bay about Pearl Harbor’, said an elderly man, who seemed rather peeved. ‘Isn't it nice that with the advance of movie technology, it now takes only just five years for a director to cash in on tragedy?’"
Not only does that viewpoint seem awfully cynical, but also it forces an odd stretch of reality. It implies that the Bay flick was the first one to take on the events on December 7, 1941. That’s far from the truth, as many flicks addressed Pearl Harbor much earlier than 2001. Heck, apparently Secret Agent of Japan was put into production December 8, 1941. The unidentified “elderly man” must’ve forgotten how quickly that flick and many others “cashed in on tragedy”. Whatever one thinks of United 93’s timing, I can’t believe many will find the flick to be an opportunistic piece of profiteering. The film walks a fine line between cathartic heroism and documentary-style examination, though it clearly favors the latter side. That’s for good and for ill. The ill came out in a real sense when I watched the flick theatrically. I literally couldn't watch much of it because I started to feel motion-sick about 20 minutes into the movie and had to keep my eyes closed for at least 75 percent of the remaining running time. Even two hours after I left the auditorium I still felt queasy! I'll never see another Paul Greengrass movie in the theaters. This nausea happened to me at The Bourne Supremacy as well and ruined the flick for me. Hey, at least I didn't hurl - that's more than I can say for someone else at United 93. As I left the theater, the staff was cleaning up puke near the exit. I dislike the documentary-style shakycam not just because it physically nauseated me. I think the frenetic style renders the climax a bit less effective. Those scenes lack the urgency I'd expect just because the whole movie works that way. Had Greengrass kept the style more sedate at the start and built things up as it went, the technique would be more effective. Instead, he treats the whole damned thing like the world's coming to an end. A gradual increase in tension would make more sense. Despite my dislike of the shakycam, I thought the final 20 minutes or so were very dramatic. That was the only part of the film I felt lived up to its potential. I really hate that "documentary-style" filmmaking, though, as I think it's a cheap attempt at verisimilitude. The technique makes more sense here than in Bourne Supremacy, but I still feel it acts as a distraction much of the time. Oddly, United 93 undercuts its feigned realism with the use of a score. This is a flick that would benefit from a lack of music. While United 93 doesn’t pour on the score, it shows up too often and packs too much of an emotional strain. This makes little sense. The rest of the movie tries hard to present events from a realistic “you are there” style, but the music portends doom and dismay from almost minute one. 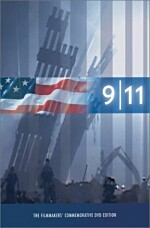 United 93 has received a great deal of praise for the respectful way it examines the day’s events. Indeed, it does steadfastly refuse to glorify or demonize any of the involved individuals. Frankly, I think the movie’s a little too damned respectful, mainly due to the treatment of the hijackers. It reminds me of a complaint I had toward Tora! Tora! Tora! : I disliked the neutral tone taken toward the Japanese. As with those aggressors, the terrorists here undertake a brutally violent and cruel event, yet the movie portrays them in a nearly sympathetic light. Granted, it makes me pleased to see that Greengrass doesn’t depict the hijackers as stereotypical ranting madmen. Nonetheless, I think the movie shies too far away from any potential controversy. Indeed, since it offers virtually no character development for any of the passengers, we get to know the terrorists better than any of the more traditionally sympathetic participants. This leads us to almost wind up on their side. After all, we spend the most time with them, and the movie does little to make us dislike them. While I don’t think Greengrass wants us to side with the terrorists, his refusal to truly take sides nearly creates that unintended effect. There’s an odd sense of political detachment about United 93. Greengrass does his best Jack Webb and sticks just with the facts, though a lack of complete historical record about the events onboard the plane results in more than a little creative liberty. Back in college, I did a paper about anti-Communism during a post-World War II election in which I took a similar approach. I essentially just reported events during the campaign and didn’t do much to interpret them. The professor gave me a “B” due to the thoroughness of my efforts but felt I didn’t deserve an “A” because I failed to do anything more than just catalog facts into one neat package. In essence, that’s what United 93 does. Very little about it sheds any light on the events involved, as instead it serves mostly to give us a one-stop visual account of the tragedy. At times, that’s good enough, as the film does act to create a nice summary. But is that enough to create a great film? I don’t think so. Sometimes I feel United 93 gets praised more for what it’s not than what it is. The first feature to confront 9/11 carried a heavy burden, especially since so many worried that the day’s horror would be translated into little more than action flick nonsense. When United 93 emerged and avoided all of those clichés, it earned a sigh of gratitude that may have overwhelmed most objective views of the flick. Everyone felt so relieved that the movie lacked ham-fisted heroics that the film became seen as something more dynamic than it is. Or perhaps the genuinely stunning conclusion also dominated thoughts. United 93 offers an ending just as wrenching as one might expect, and it caps off the film perfectly. The final 20 minutes truly tear at the viewer and bring out the drama of the situation. As for the rest of the movie, I stick with that “B” grade. Most of United 93 gets an “A” for effort but only a “C” for execution. Someday I expect a great film related to 9/11 will emerge, but this isn’t it. United 93 appears in an aspect ratio of approximately 2.35:1 on this Blu-ray Disc. A challenging presentation, the transfer mostly represented it well. Overall sharpness remained positive. The image wasn’t always razor-sharp, but it offered largely solid definition. Some poor focus resulted from the documentary-style photography; I didn’t count those shots as a negative when I assessed the transfer. I witnessed no signs of jagged edges or shimmering, and I detected no evidence of source flaws. United 93 went with a low-key, somewhat blown-out palette. The movie never favored bright tones, as it stayed subdued like we would expect. Within those constraints, the colors seemed accurate. This wasn’t a Technicolor extravaganza but I found no fault with the hues as designed. Blacks also seemed more than acceptable, and low-light shots showed good definition. A lot of challenging elements occurred since we got so many murky interiors, but the movie displayed these with nice clarity. Overall, this was a good transfer of a difficult image. I felt more pleased with the excellent DTS-HD MA 5.1 soundtrack of United 93, and the soundfield took good advantage of its opportunities to shine. The airplane sequences especially opened up the mix to a broad and satisfying degree. They used the surrounds well and formed a fine sense of activity. Quieter sequences created a nice feeling of ambience, and music offered good stereo imaging. Audio quality was solid. Speech always sounded natural and concise, and I noticed no signs of edginess or other problems. Music was bright and dynamic, and effects worked well. Those elements seemed clean and accurate, and they presented very nice bass response. This was a dynamic track that merited an “A-“. How did the Blu-ray compare to the original DVD? Audio sounded more dynamic and robust, while visuals seemed tighter and more precise. The Blu-ray boasted the usual format improvements. The package features the DVD’s extras and some exclusives. We open with an audio commentary from director Paul Greengrass. He offers a running, screen-specific piece. We learn about the film’s opening and setting the tone, cast and characters, camerawork and editing, deleted scenes, verisimilitude and creative liberties, visual effects, score and audio, logistical concerns and other production elements. Greengrass keeps things subdued and mostly delves into the facts behind the story. He expands that area to broaden what we find out in the film. Happily, this doesn’t devolve into narration; Greengrass keeps things interesting and informative. A little too much dead air occurs, and I’m disappointed the director doesn’t talk about how he chose to end the film, but this remains a pretty useful commentary. A documentary called United 93: The Families and the Film runs 59 minutes, 51 seconds. It mixes movie clips with behind the scenes images and interviews. We hear from Greengrass, associate producer Kate Solomon, actors Daniel Sauli, Peter Hermann, Corey Johnson, Simon Poland, Trieste Dunn, and Lorna Dallas, and passengers’ relatives Carole O’Hare, Lori, Jerry and Bea Guadagno, Lyz Glick Best, Kenny Nacke, Paula Nacke Jacobs, Cathy and Wayne Stefani, David and Catherine Miller, Jack Grandcolas, Kimi, John, Chris and Sonali Beaven, Patrick Welsh, Debby and Muriel Borza, Fred Hecker, Doris Gronlund, and Elsa Grondlund Strong. The documentary concentrates on folks who knew people on board United 93. We learn about various passengers and crew as we get to know them better. A few moments show actors as they meet the relatives of the people they portray. This adds up to a moving and informative documentary. It helps flesh out the movie’s roles, something I particularly like since the film itself devotes so little time to its characters. I also think the meetings between actors and families are compelling. These could have become cheesy, but like the whole program, they end up as emotional and vivid. New to the Blu-ray, Chasing Planes: Witnesses to 9/11 fills 48 minutes, three seconds with comments from air traffic controllers David Bottiglia, Christopher Tucker, Jim Bohleber, Curt Applegate, Steve Lund, and Rick Tepper, USAF/Air National Guard’s Stacia Rountree, Kevin Nasypany, Robert Marr, Steven O’Brien, Bob Schumacher, Jeff Rosenthal, Jeff Divito, Robben Todd, and Mo Dooley, National Air Traffic Command Center’s Benedict Sliney, US Air Force/NORAD’s Larry Arnold, fighter pilot Dan Nash, and Boston ATC military liaison, Colin Scoggins. They discuss the events of 9/11 from the air traffic and military viewpoints. We know some of this from the movie, but we learn a lot more in this tight, informative piece. Flight 93 National Memorial runs eight minutes, 39 seconds. It lets us know more about the memorial in Pennsylvania. It’s an advertisement, really, but I can’t complain given the subject matter. 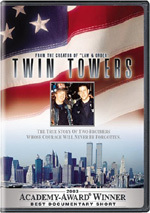 In addition to a promo for Twin Towers, we find a collection of Memorial Pages. These offer biographies of the 40 passengers and crewmembers who died on United 93. They vary in length and detail – most appear to have been written by relatives – but they give us at least rudimentary information. I think this is a classy little tribute. Of all the events that took place on 9/11/01, the actions of the passengers on United Flight 93 stand among the most heroic. United 93 pays tribute to them with a stirring but still moderately unsatisfying effort. The movie delivers an emotional climax but distracts us with too many gimmicks in the preceding 90 minutes. The Blu-ray offers good picture and audio along with compelling supplements. Parts of the film work exceedingly well, but the end result feels inconsistent.